Longer more voluminous lashes have always been on my wish list. My lashes are what you would describe as average. They don’t look their best naked and it has to be said this hasn’t improved with age! I’m a big believer that good lashes make your eyes look bigger and can make your whole face look fresher and younger. That's why eyelash curlers and mascara have become good friends of mine. Today it seems eyelash enhancing serums are the new must-have product for eyes. A high-quality lash serum conditions, nourishes and reinforces the eyelashes as well as improves their appearance by boosting lash growth and volume. With this in mind, I couldn’t wait to try Rapidlash and knowing that they don’t test on animals appealed to my ethical side too. 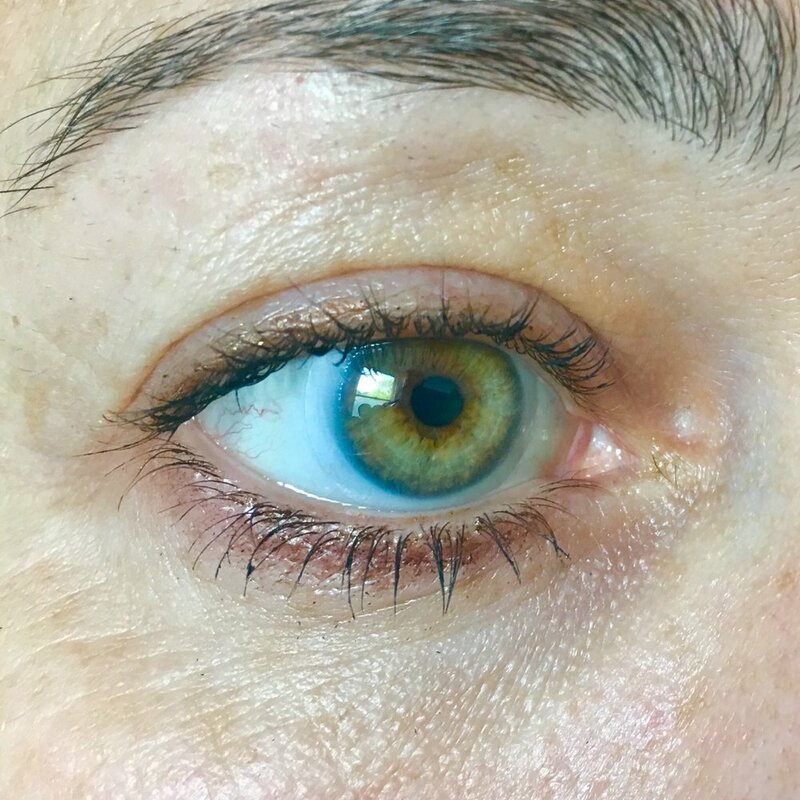 So does Rapidlash really work? I did notice a difference in the strength of my eyelashes. Usually when I remove my eye makeup in the evening, it wouldn’t be unusual to see a couple of lashes that had been pulled out. I can honestly say, since I’ve been using Rapidlash, I’ve only lost three lashes in six weeks. As you can see in the pictures below, upon close inspection, my eyelashes were subtly thicker and enhanced by using this serum. I also definitely noticed that they had lengthened slightly once I applied mascara. On conclusion, it’s a product that I would use for special occasions but not continually as part of my daily routine. This is probably the combination of the price and results. RapidLash contains Hexatein 1 Complex, a blend of lash-enhancing ingredients which work together to target eyelashes from every angle. It helps to fight damaging environmental elements and premature fallout by nourishing and strengthening lashes. This is what helps your eyelashes to lengthen. Before applying RapidLash, clean and dry the eye area. Using the applicator brush, apply a thin line of RapidLash to the base of the upper eyelashes starting from the inner corner of the eye to the outer corner and along the base of the lash-line. It can also be applied to the lower lash-line, although take great care to avoid direct contact with the eye. For best results, apply in the evening before you go to bed.